If he’s not on your radar already and you fancy yourself as a bit of a maker, it’s time you looked into Bob Clagett. Perhaps more commonly known as Bob from I Like To Make Stuff. But before you head to his website or Youtube channel, here’s a tip - make sure you have at least a few hours to click from one awesome project to the next. Want to make a floating desk or mini air hockey table? A longboard or shovel guitar perhaps? Bob’s your guy. Having left the software industry in 2015, Bob now focuses his skills on inspiring and teaching others everything from woodworking and metalworking to electronics and 3D printing with approachable and ridiculously fun projects. It’s impossible to pick a favourite so here’s one of his latest and greatest projects - how to make a drawing easel for kids. Complete with a whiteboard and blackboard the easel is also made to include a roll of paper, so your kids creations can be rolled up safely and stored away as a nice keepsake. Sweet. 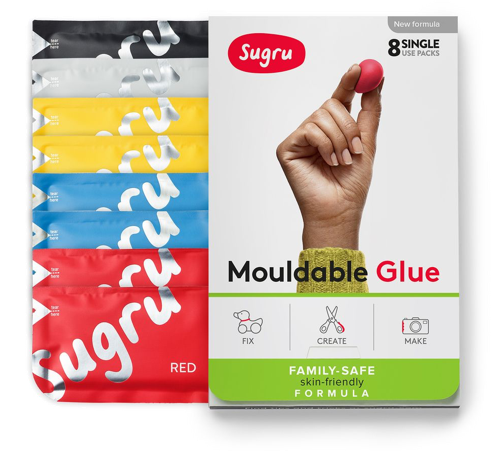 There’s also a handy Sugru project in there for good measure. Inspiring stuff Bob - keep up the good work! There’s also a chance to pick the brains of other maker guys and gals by tuning into Bob’s podcast where he interviews people from around the world. Check it out when you get a minute.